WHITMAN — Police and fire personnel responded to two separate pedestrian accidents on Thursday, Dec. 17 in which the pedestrians involved were both transported to South Shore Hospital. No charges have been filed against drivers in either incident, according to police. At about 7 a.m., Dec. 17, a female high school student was transported to the South Shore Hospital for non-life threatening injuries after being struck by the side mirror of a car near 309 Washington St., while she crossed the road to get on the school bus. During rainy conditions at about 5 p.m. that day, another accident seriously injured a pedestrian in the crosswalk in front of the post office on South Avenue. The victim Leon Baker, 68, of School Street in Whitman was walking in the crosswalk. He was dressed in dark clothes when he was struck by a Honda Civic, according to police. Baker sustained serious injuries and was listed in fair condition Saturday at South Shore Hospital. The 33-year-old male driver from Brockton, whose name has not been released, immediately pulled over, according to Police Chief Scott Benton. “He stopped and went to Mr. Baker to try to help and was cooperative with Whitman police,” Benton said. A Massachusetts State Police Reconstruction Team responded to the scene and, based on the analysis at the scene with Whitman’s investigating officers, it was recommended and then determined that the driver would not face charges. Contributing factors to the incident were weather conditions and poor lighting. The driver was not found to be at fault, said Benton. Leon’s Brother Lenny Baker, also a Whitman-Hanson graduate still living locally, is a famed musician of television and the musical group Sha Na Na. No further information was available on the condition of the teen hurt in Thursday morning’s accident. The initial investigation by Whitman police was that the side mirror of a car struck her as an elderly woman went past the stopped school bus, according to Benton. The bus driver, whose name has not been released, works for First Student Bus Company. She initially reported to police her red flasher lights were on for the students to safely cross the street. However, after a statement and corrected report by the bus driver to Whitman police she informed the investigating officer her yellow lights were on, not her red lights, which would have activated the cross board on the front of the bus to signal that all traffic must stop. “The bus driver made the determination to allow two more cars to pass before activating her red lights. The student, anticipating the red lights, then stepped into traffic and was struck by the car. She was not hit by the bus,” Benton said clarifying incorrect information that was possibly started on social media. The women driver of the grey sedan was shaken and did stop at the scene. A male who identified himself as the son of the driver said his mother “is elderly and very upset.” He did not want to speak further. He was driving her home following the accident. Two women who reside across from the bus stop said approximately five students wait at the bus stop daily. Tina Burnell, whose daughter is a high school student, said her daughter was right behind the girl who was struck and that she had been upset by the incident. Benton said Monday that no charges were filed against either driver. HANSON —About a dozen small business owners and employees gathered at the Edward Jones office in Shaw’s Plaza Wednesday, Dec. 2 to kick off the Hanson Business Network (HBN) to help each other develop and promote their companies — and perhaps shake up town officials’ attitudes toward business development. The group is looking to meet on the third Wednesday of each month for now as they work to define the group’s direction and structure. The next meeting is slated for 7 p.m., Wednesday, Jan. 20 at Edward Jones. Among the issues discussed Dec. 2 was the need to revitalize the Main Street area near the MBTA station and High Street near the former Plymouth County Hospital as well as ways the town can help attract new business — while remaining neutral politically —and how members of the group can help each other. Still Singer, like the others in attendance, loves doing business in Hanson. Laurel MacCurtain, who owns Five Rings Pet Resort with her husband Michael, a Whitman firefighter, said they are very comfortable in Hanson, too. “If there is anything we can be doing to increase local business, we’re on board with it,” she said. Like MacCurtain, most of those attending the meeting have business, if not personal, roots in Hanson. 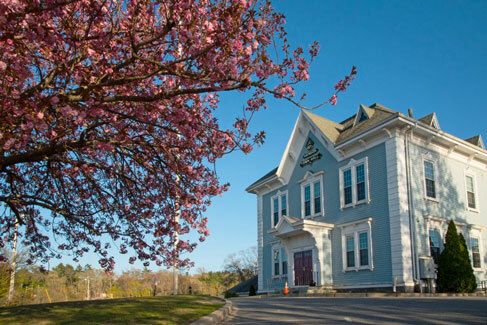 Meadow Brook Restaurant owner Wilbur Danner, for example, is a longtime resident who has served as chairman of the Whitman-Hanson School Committee, has worked on several of the town’s building committees and has served as an assessor. He, too, spoke of rough going to get his establishment going. Whitman native Kathy Jo Boss, who has operated Boss Academy of Performing Arts in Hanson for 14 years, agreed with Danner. McDonough has also been a member of a handful of chambers of commerce in the region, and has been dissatisfied with the general attitude toward small businesses in such organizations. “You need that water cooler moment, but there’s no one to meet at the water cooler when you’re in business for yourself,” said HBN organizer Laura FitzGerald-Kemmett, a legal consultant preparing to launch her own firm. Her husband John Kemmett is also considering an expansion of his electrical business. She got the idea for the HBN while doing fundraising when she realized the same businesses in town are approached all the time. Building a network can help businesses define projects they want to support. “I wanted to jump-start it, get everybody introduced to one another, figure out what we wanted the group to be, what’s important to you and what’s this going to look like,” she said. For one- and two-person businesses, such informal information sharing can also be vital to business development, as well as encouraging socially. Bob Sullivan, owner of Sullivan Funeral Home in town since 1976, and his daughter, Office Manager Amanda Sullivan, characterized their interest as part of their family business’ commitment to the community. Amanda Sullivan is also a Hanson resident and plans to stay with the business in town for a long time. Also attending the meeting were Julie Gainey, president of Master Gourmet Packaging who sells specialty packaging to hotels and restaurants across the country, Steve Smith of Max Machine, which machines medical devices, robotics and projects for the Department of Defense, and Timothy Dunn of Wicked Design Group which is involved in custom automotive design work and fiberglas repair, both Smith and Dunn are located at 1000 Main St.
Smith is hoping the networking opportunity can help his business survive amid challenges from international competitors and the advent of 3-D printers. The Board of Selectmen are reviewing updated town policies regarding employee benefits and conduct. Policies pertaining to domestic violence leave, the Family Medical Leave Act, information technology use, HIPPA practices, social media and municipal vehicle use are being studied. Some are out of date and others, such as the social media policy — which has been urged by Selectman James McGahan — and the vehicle use policy are new. McGahan said he would be looking at LaCamera’s social media policy draft in comparison with what other towns are doing. “In looking at some of the town policies that we have, and some that we’re lacking that we should have, what I’ve tried to do is take the ones that really need to be addressed as soon as possible,” said interim Town Administrator Richard LaCamera at the Tuesday, Dec. 8 meeting. He will be meeting with town department heads next week to obtain their input. LaCamera noted employees are supposed to receive copies of the policies every year, sign an acknowledgement that they received them and have read them. Town Counsel will also review them, especially new policies or those affecting union contracts. “It’s better to get them wrapped up now,” said Selectmen Kenny Mitchell. 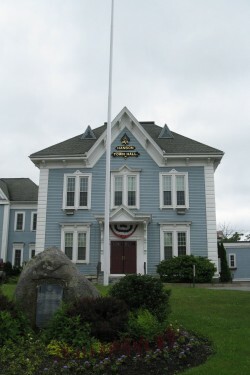 Selectmen Chairman Bruce Young also commented on the complaint policy, which calls for complaints to be filed with the board or commission in charge of the person the complaint involves. One Open Meeting Law complaint— stemming from an incident at Hanson Day last June — has been accepted for review by the Attorney General’s office. He noted three or four OML complaints had been filed regarding town government, but only the one had been accepted for review. He noted there is a misunderstanding of what constitutes a violation. If a quorum of members on any board attend a public meeting, it does not automatically constitute a violation of the Open Meeting Law. They may do so provided they communicate only by open participation. “They may not deliberate at such meetings,” he said. One-on-one conversations outside posted meetings are permitted so long as they don’t become “chain letter” conversations with other board members. McGahan added it is important in filing Open Meeting Law complaints to know exactly what the breach was to avoid frivolous complaints. In other business, the board voted 4-0-1 to appoint David Hanlon of 5 Arthur St., as tree warden, filling a vacancy until the annual Town Election in May. Mitchell, who works for Newcomb Tree Service, abstained. Michael Means of 342 South St. had also applied. Selectmen agreed both were clearly qualified for the position and encouraged both to run for the office in May. Both Hanlon and Means work with the Highway Department. Hanlon is an 18-year veteran, citing familiarization with MGL sections 41 and 87, which govern tree warden responsibilities. Means is also a call firefighter/EMT as well as a senior heavy equipment operator at the Highway Department. “The priority of tree warden, number one is public safety,” Hanlon said, who noted dealing with utility companies is also important. Means agreed that public safety is paramount. Both have limited experience with grant writing, but Hanlon has retail budgeting experience and has worked with Highway Surveyor Bob Brown on budgeting. Means said he has little municipal budgeting experience. Both expressed a willingness to obtain arborist training. McGahan, who said he also reviewed both men’s Facebook posts, said Hanlon’s grasp of state statues made the difference for him. “It’s nice to see you guys step up,” said Selectman Bill Scott. HANSON — As the town begins work on the fiscal 2017 budget, some officials have taken exception to statements made at a Nov. 18 School Committee meeting on how that budget is formulated. Interim Town Administrator Richard LaCamera reported Tuesday, Dec. 1 that town departments are already submitting budget proposals as the process begins. He estimated the budgets will be ready for presentation to selectmen and the Finance Committee by the end of January. That statement is inaccurate, according to Young. “The selectmen really don’t have anything to do with meting out how much money the schools get,” he said. The budget and assessment are certified by the School Committee, and the assessment then comes before the Finance Committee for a recommendation, Young said. He also commented on the assertion by teachers’ union representative Beth Stafford that the last successful override was followed in the next year by increased requests from other departments as the increased levy limit went into general funds. LaCamera also stressed that both towns must agree on a school budget to adopt it. He reported that he had met during the day on Tuesday with Whitman Town Administrator Frank Lynam regarding the regional school budget, among other issues. 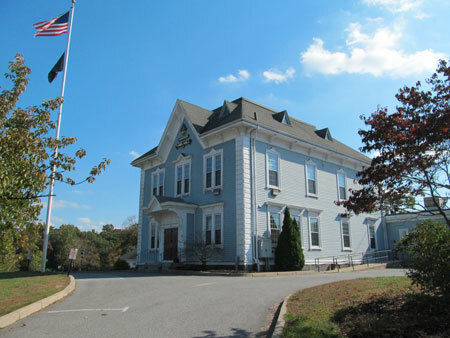 Hanson’s Finance Committee has appointed a liaison to the School Committee, but LaCamera said he and a representative from the Board of Selectmen should also attend budget meetings. “I think the communication between the School Committee and the towns needs to be worked on,” he said. Selectmen also discussed town and school department capital improvement plans. LaCamera and Capital Improvement Committee Chairman John Norton have agreed to “wipe the plan clean” and start over, taking off project proposals on the list that have not been addressed — and may not need to be — after five years. LaCamera has also informed department heads that he will be reviewing submittals, and seeking selectmen’s input, before they are advanced to the Capital Improvement Committee. He suggested a similar review be conducted regarding the schools’ capital improvement matrix. Many project numbers are estimated pending an engineering review. In other business, the board amended and approved language for a new posting for the Town Administrator’s job and revisions to the contract under which the new administrator will be hired. Young also reported periods of rain during the past week have pushed the completion date for the Indian Head roof project to Dec. 6. On Saturday, Nov. 14, the School Committee voted 8-0-1 on Nov. 18 to amend the district’s building use policy. Member Robert O’Brien, a lieutenant on the Hanson Fire Department, abstained and member Alexandra Taylor was absent. The change requires that renters of the facilities for events involving more than 300 participants must pay to provide a police detail “in order to ensure the safety and security” of those participants. Use of the facility will be denied if: there is insufficient supervision, capacity is exceeded or if public safety officials and/or district personnel deem a safety and security problem exists. School Committee Chairman Robert Hayes, who was on the grounds during the day Nov. 14, said the problem has cropped up before. While it says “No Parking” on one side of the driveway pavement, people just park over it, Assistant Superintendent for Human Resources/Safety and Security Patrick Dillon said. Hayes added that it is also assumed the posted traffic signs pertain only to school hours. Cars also illegally park on the fire road. A Hanson school roof project was also a topic of concern. The Indian Head and Maquan Priority Repair Committee is persuing the penalty clause of the Indian Head roof project over missed deadlines. The project, originally contracted for completion at about Aug. 21 is now, after several delays, scheduled to conclude Monday, Nov. 30. The most recent missed deadline was Nov. 22, which hinged on the company working Veterans Day. A nor’easter, however, cost two days’ work that week, according to Hayes. “It’s dragging out way too long and it’s got to be completed,” Hayes said. School Committee member Kevin Lynam asked about the repair committee’s satisfaction with the work. “We’ve had a lot of positive feedback from what I’ve heard for the last three months and suddenly people are angry about the time it’s taking,” Lynam noted. Hayes said the timing is beginning to affect everything. “Are we dissatisfied with the work? No, but we’re dissatisfied with the [time] it’s been taking,” he said. HANSON — The Hanson Holiday Committee is checking the bulbs and solidifying plans for its tree lighting festival at Town Hall green one month from now — from 5:30 to 7:30 p.m. on Saturday, Dec. 12. Fireworks will punctuate the program at 7:30. Santa will arrive by fire truck, after his customary tour of town neighborhoods, to light the tree and pose for photos with children, which can be downloaded from a web address provided at the event. New this year is the sale of 500 buttons, which at $5 each, are intended to help defray costs, but are not required for admission to the free event. The buttons were produced through a donation from Sullivan Funeral Homes. Every button purchased, however, will entitle the holder to a free raffle ticket at the event toward a chance to win a ride to school via fire engine for a family’s children. Buttons may be purchased from Modern Barber Shop, Mike’s House of Pizza, Ford Insurance, Ferry’s Sunoco and Stitch ’N Time cleaners or from committee members Steve Amico, Bob Hayes, Fire Chief Jerome Thompson Jr., and others. Other businesses interested in selling buttons, or residents seeking more information on where to buy them, may contact Amico at 781-293-2532. “The committee thanks Sullivan Funeral Home for the generous donation,” Amico said at the committee’s Monday, Nov. 2 meeting. The final meeting prior to the event is slated for 7 p.m., Monday, Nov. 23, at the Fire Station. “If we find that they went like that, then next year we can do [more] and we can get them earlier,” Amico said of the buttons. Food at the event will again be provided by Mike’s House of Pizza and The Old Hitching Post, with the committee working to add Venus III and Meadow Brook Restaurant to the list. Shaw’s is being approached to supply water and possibly cookies again this year. A DJ will provide music and a living nativity will be provided by a local church. The Fire Department is also considering expanding the fire pit to help keep revelers warmer. Traffic control will depend on the size of the crowd, Police Chief Michael Miksch said, indicating he has three different plans from which to choose. HANSON — Most residents probably never give a second thought to the town’s sealer of weights and measures or what that official does, much less to the fact that the office in Hanson has been vacant for a year. 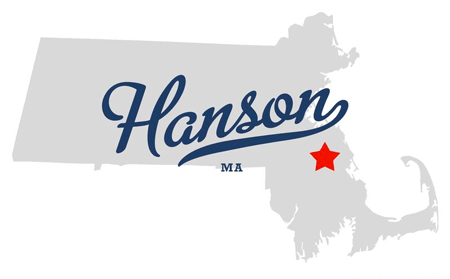 Selectmen on Tuesday, Oct. 27 voted to appoint Robert O’Rourke of Hanover to fill the vacancy left by the death in October 2014 of Hanson’s Sealer of Weights and Measures Peter Jones. O’Rourke is also Hanover’s sealer of weights and measures. He pledged to get to work right away to catch up on the required annual inspections not yet conducted, though Jones was up to date on his inspection schedule when he died. O’Rourke’s appointment is through June 30, 2016. O’Rourke is a certified sealer of weights and measures by the state for gas pumps and meters as well as deli scales, price verification units and point of sale registers at retail stores and truck scales. Sealers of weights and measures are also on call anytime a business changes a scale or pricing unit. He went into the application process not even aware of the small stipend of $3,200 per year — plus $400 for expenses — that Hanson offers, O’Rourke said when asked by Selectmen Chairman Bruce Young if he minded the amount. For Hanson’s needs, he said the stipend was fair. Selectman James McGahan asked how frequently inspections are required. “What if you have a gas pump that fails?” Selectman Kenny Mitchell asked. O’Rourke explained that he uses a five-gallon fuel container calibrated by the state to verify accuracy of pumps. He added that, more often than not, a consumer complaint about gas pumps reveals it is the gas station that is losing money. HANSON — Last week 10 members of local 4H dog clubs, A Round of a Paws and Pawsitive Effects, gathered at the Hanson home of co-president Jeanine Adams to pack boxes of food items to ship overseas for soldiers and their war dogs. Nearly 500 nonperishable items were collected from donations at the local Stop & Shop in Pembroke for the soldiers and their war dogs. 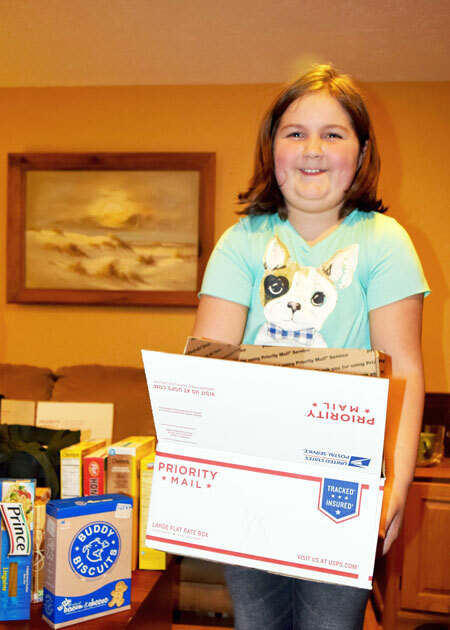 DOGGED SUPPORT: Amy Gentili of East Bridgewater gathered with other members of the A Round of A Paws 4-H Club at co-leader Jeanine Adams’ Hanson home last week to help pack boxes of food items for soldiers and war dogs. Photo by Stephanie Spyropoulos. Group members and their parents assisted in filling cartons, which included: Cheerios, candies, Chips Ahoy cookies, Pringles potato chips, various dog food items, bones, and baby wipes along with numerous other brands of cereal. A longtime 4-H member Maddie Piers, a senior at WHRHS, has been a war dog committee president for the last few years. She said receiving letters of appreciation from the soldiers makes her happy and knowing the soldiers and their dogs get basic items they need gives her warmth in her heart. “It makes me happy knowing our group has worked to bring happiness to others,” said Piers. Raeanne Welch, 14, of Halifax has a Puggle names Sandy. She wrote a letter to include in the care packages and explained that her 4-H friends were passionate about the war dogs program. She is part of a travel group, which brings their animals to public events to help raise money. A portion of the raised $287 will help defray cost of shipping fees, boxes and packaging supplies as well as buying additional items for the soldier’s wish lists. Many donations were raised by club members and their dogs that performed a trick for $1 as shoppers entered and exited the grocery store. Welch, who attends Norfolk Agricultural High School, aspires to be a dog trainer and enjoys agility training. She is looking forward to an upcoming eight week unit at school, which will involve canine care and training. In a letter to the soldiers who will receive the care packages, co-club president Cathy Acampora who resides in Pembroke included some of the recent projects 4-H club members worked on in their weekly meetings with their canine friends. “Members of the dog club, who range in ages from seven to 18 have learned to train their canines to do tricks, follow instructions, agility, and care for their animals. They also do pet therapy learn to do presentations, and work with various fund raisers,” said Acampora. Amy Gentili, 10, of East Bridgewater is a newer member of the group. She likes to wear T-shirts, socks and ribbons that have pictures of dogs on them or paw prints because she loves them so much, she said. For further information on donating items visit uswardogs.org.